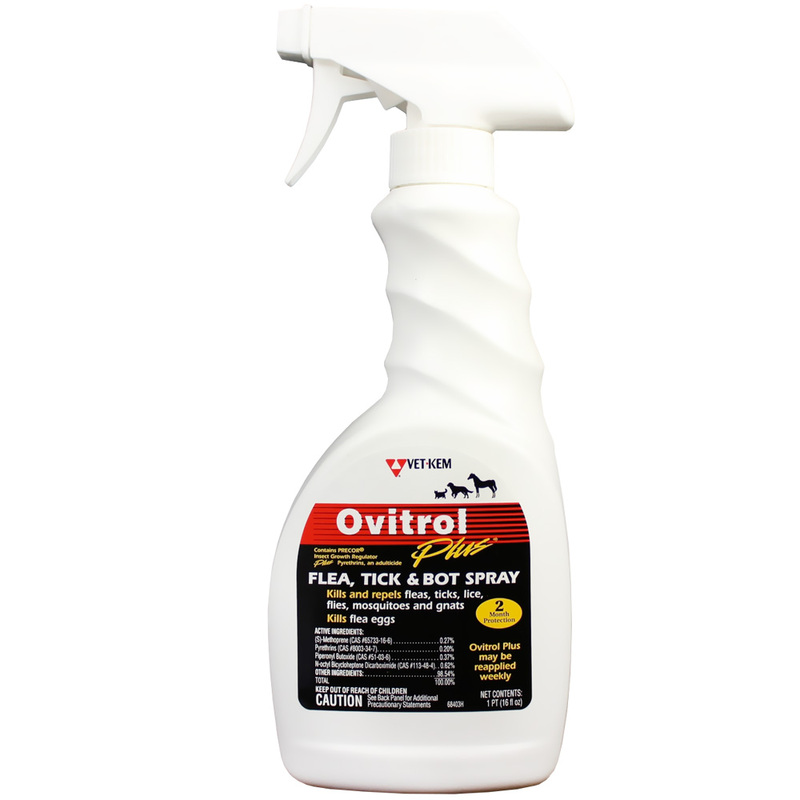 Ovitrol Plus Flea, Tick and Bot Spray controls fleas, flea larvae, ticks, lice, mosquitoes, gnats, houseflies, stable flies, horn flies, face flies, and horse bots. Botfly eggs and flea eggs sprayed with Ovitrol Plus will not hatch into adults. For use on dogs, cats & horses.